Top-notch Medical Biller with more than 4 years of experience in the medical and insurance field. Very knowledgeable in various insurance company guidelines. Outstanding productivity both as a biller and as a collector. 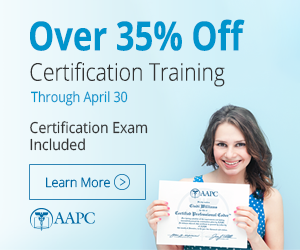 Possess a strong understanding with coding using CPT, ICD-9, and HCPC Codes. Consistently motivating others toward success, a dynamic leader and team builder. Billing to Medical (EWC Program), Medicare, Commercial Insurance, CPT Codes, ICD-9 Codes, Ms Office, Contracting, Physician Credentialing, Set up new Billing Software, Obtain new Clearinghouse for Billing, Memo’s, Case Management, Ms Excel, Statistics Reports and A/R Reports and Emdeon (EDI)……. Billing to Medi-Cal, CCS and GHPP, Submitting to obtain Retro E-Tars thru EDS for Outpatient Services, Emdeon (EDI), ICD-9 Codes, CPT Codes, ACMS (CCS), MS Office, MS Word, MS Excel, MS Access. Submitting Authorizations for MRI’s and CT Scans, Check Insurance Eligibility, ICD-9 Codes, CPT Codes, Registration, Contract Interpretation, Data Entry, MS Excel, Ms Word, Submit E-Tars, NIA Pre-Certifications for CT and MRI Scans, ACMS (CCS) Authorizations, Customer Service, Blue Cross, Blue Shield, PacifiCare, Medi-Cal, United Healthcare and Several other PPO’s and HMO’s. UB-92 Forms, Claims Administration Billing Program. DME Guidelines, Insurance verification, Crossover Claims, Medi-Cal Appeal, Claims Inquiry Forms, HCPC Codes, Authorizations, Medi-Cal/Medicare Billing, Insurance Billing, Data Entry, Denials, Customer Service, SOC Claims, Ms Word, Ms Excel, Dezine Billing Program, CMS 1500 Forms. Medical Transportation Billing, Dispatch, Scheduling, Payment Posting, Prep. File for Worker’s Comp. Court Hearing, File lien Using Edex, Authorizations, Insurance verification, Train Interns, Office Management, Data Entry, Denials, Customer Service, SOC Claims, Ms Word, Ms Excel, Correspondence, Collections, Filing, QuickBooks.